Welcome to Kernersville Area Tennis! 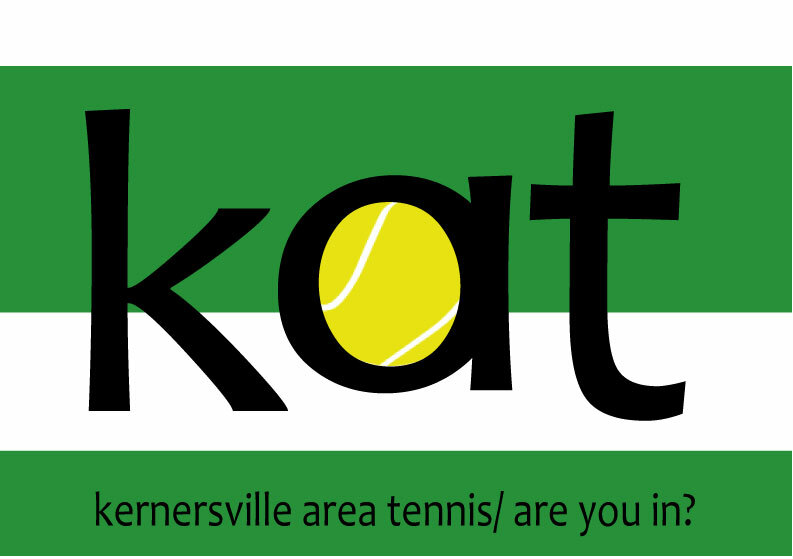 KERNERSVILLE AREA TENNIS (KAT) is dedicated to promoting tennis in the Kernersville area, and is afilliated with the USTA (Unites States Tennis Association). Tennis lessons for various skill levels and ages will be held at the Glenn High School tennis courts, south of Kernsersville. There will also be group drills and fun matches for middle school and high school age youth. Click here for more information. Group lessons for beginning players, as well as drills and skills for adults from beginners to advanced at the Fourth of July park in Kernersville. Click Here for more information. Compete against other men on Monday nights at the Fourth of July Park in Kernersville. Click Here for more information.